To stop smoking is no easy task. The urge to smoke and the cravings associated with tobacco can be extremely strong. If you’re trying to cut down or stop smoking completely, here are six tips to help you resist the urge and prepare for what is ahead. Most smokers have specific triggers throughout the day that remind them of smoking. The desire to smoke is usually the strongest in situations where you smoke most often. Start by identifying your main triggers. Do you get an urge to smoke when drinking coffee, talking on the phone, drinking alcohol, after meals or after work? These are some of the most common triggers. Since many triggers are activities you repeat each day, it’s best to try to replace the action of smoking with something new. Chewing gum or having a mint after meals, doodling while on the phone, or having a cup of coffee with a co-worker in the office instead of at home can be simple workarounds. When a craving rears its head, try to keep yourself busy for the next 10-15 minutes, which is usually how long it takes until the impulse subsides. It’s helpful to stay in smoke-free environments while you are trying to stop or cut back on smoking too. This can help reduce the number of cravings you feel. And remember, each craving will eventually go away. Being active is not only great for your mental and physical health, but it’s also a distraction from the urge to smoke. Adding a workout routine, even a simple walk around the block after dinner, to your schedule will help you feel healthier and motivate you to smoke less. 4. Embrace a new way to relax. For many frequent smokers, smoking is a way to relax or cope with stressful situations. It can be difficult to avoid smoking when you are dealing with family, relations hip, financial or work stress. If you find yourself in one of these stressful situations, experiment with new ways to cope – yoga, meditation, journaling, reading, working out – until you find something that not only helps you relax, but also replaces the urge to smoke. 5. Embrace a new way to relax. If no longer smoking in one of your health priorities, rely on the support of your friends and family. Reach out to a loved one when you feel the itch to have a cigarette. Want to speak to people who understand what you are going through? There are a number of in-person and online programs for people who are trying to stop smoking. 6. Prepare for what’s ahead. Don’t be surprised that you might put on a few extra pounds or be more moody than usual. These are common side effects when you stop smoking. Mentally preparing yourself for these changes is the best way to embrace them as part of the journey to a healthier you. Remember, the moodiness will subside and through some of your newfound active hobbies, that weight won’t be sticking around for long. If you are still struggling to break the habit, you may find it helpful to see a healthcare professional. Bright Health members have access to a variety of resources thanks to our Care Partners. 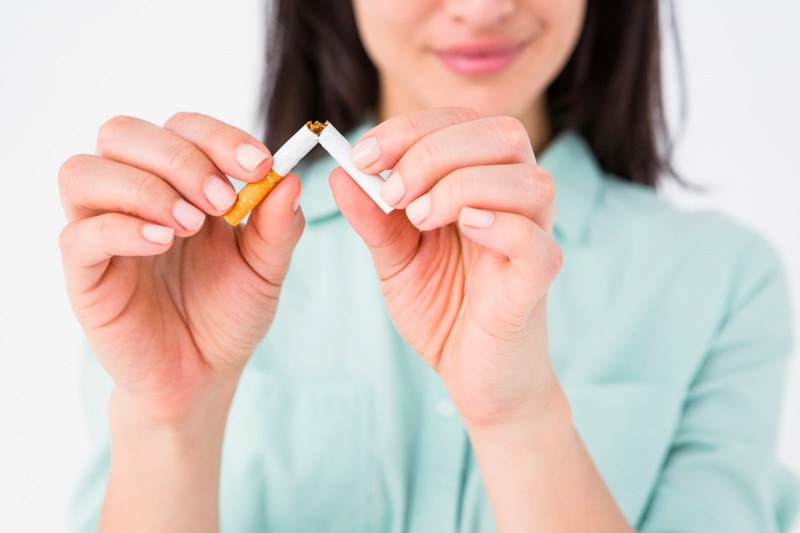 Learning more about habit development could help you break your smoking habit. Psychiatrist Judson Brewer studies the relationship between mindfulness and addiction. Sometimes you need the support of others to help you get the through the urge to smoke. Luckily, with Colorado QuitLine and the American Lung Association, there are in-person and online support groups at your fingertips.